Adirondack Instant Death traps were designed and made by Johnny Racquet, a well-known trapper who lived and worked in Potsdam, New York, in the 1920s and 1930s. 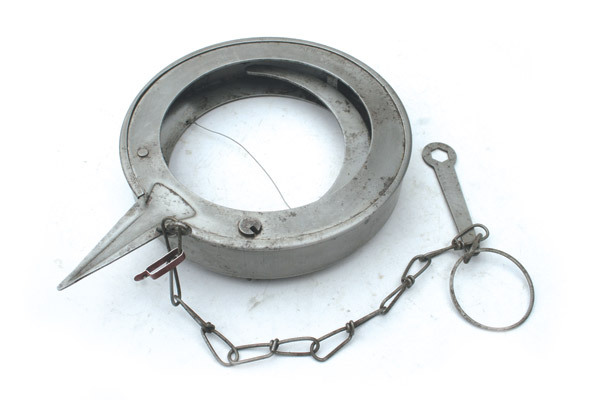 The round trap was manufactured in only one size, measuring 7-1/2 inches across. When an animal attempted to pass through the middle opening, it was dispatched by a “kill bar” powered by a coilspring housed in the trap frame. 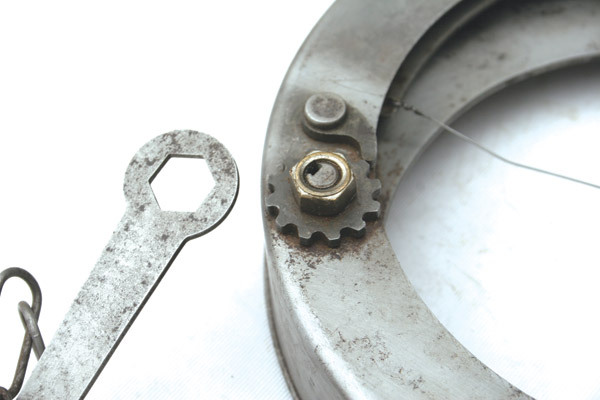 It is a combination of a snare, deadfall and steel trap all rolled into one. Its gnaw proof because it catches the animal by the head and it is also freeze proof, clog proof and dog proof. Under rigid laboratory tests the INSTANT DEATH trap has been found to have the following holding pressure and striking force simply by adjusting the notches: 1 notch - 10 lbs. (holding pressure) and 96.8 lb. (striking force). 2 notch - 15 lb. (holding pressure) and 156 lbs. (striking force). 3 notch - 20 lbs. (holding pressure) and 221 lbs. (striking force). 4 notch - 25 lbs. (holding pressure) and 286 lbs. (striking force). Racquet claimed the trap was patented, but a patent search turned up nothing. The trap was advertised May through November 1932, in FUR-FISH-GAME, and the July issue included a short story about the trap. E.J. Dailey wrote that while the trap quickly dispatched what it caught, Racquet preferred not to promote it as a more humane trap but rather as a more efficient trap. The story, flyer and ads fail to list all of the animals the trap was intended to catch. However, there is reference to muskrats, mink and groundhogs. The Instant Death design was certainly innovative, and the all-metal trap well-made. But it had a very short life span, apparently only on the market during 1932. As for collector value, the trip-wire model brings around $400 to $500 today while the rare pan model may be worth more than $1,000 to a serious collector.